This three-part article series discusses the key differences between All on 4 dental implants and removable dentures and how these differences can really change a patient’s life and quality thereof. In our previous article post, we described what All on 4 implants are and how they work to provide a fixed and non-removable tooth replacement solution to those patients that are either already wearing dentures, or are facing an immediate future of edentulism (not having a single original adult tooth left.) In this article, the second installment of a three-part series on the benefits of All on 4 implants, we shall begin to take a look at how this breakthrough surgical protocol could change your life if you’re in desperate need of new teeth. Removable Dentures: Not Cutting it Anymore! Prior to the innovation of dental implant protocols (such as All on 4 implants) designed to treat patients presenting with multiple and comprehensive tooth loss, the most popular approach to teeth replacement was dentures. Removable dentures look like a complete set of teeth and the plastic gums that they are mounting into are designed and shaped to fit neatly over the soft tissue-covered jaw bone ridge in the upper and lower jaw. 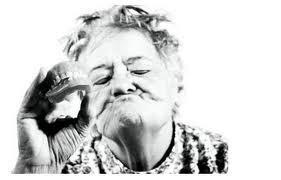 Dentures rely on their bulkiness to prevent them from slipping around and falling out. But over the years, the steady loss of jaw bone tissue caused by the missing teeth result in dentures that fit less and less. Greater slipping causes trauma to the gums as well as general oral discomfort. There is a whole host of problems associated with removable dentures. Let’s explore these in a systematic way and then compare them to the solutions provided by All on 4 implants. • Limits a patient’s bite force. • Causes irritation and inflammation of the gums, as well as the development of sores that aren’t given a chance to heal. • Restricts the kinds of foods patients can comfortably enjoy. • Necessitates a repeated investment in anesthetic gels to numb the pain caused by eating with dentures. • Can lead to malnutrition, especially in the elderly. • All on 4 implants enable patients to bite down with a much stronger force. • They allow patients to comfortably eat all the foods they love without compromise. • All on 4 implants do not apply any pressure to the underlying gums and therefore do not cause any irritation, inflammation or pain. • They do not require patients to constantly buy anesthetic gels to numb the pain associated with eating. 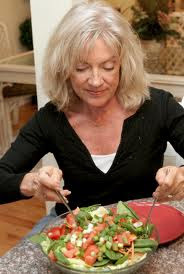 • All on 4 implants enable patients to eat a much healthier and more balanced diet. To read more about how All on 4 implants can totally revolutionize your quality of life, stay tuned for the third and final installment of this informative article series.